“I feel it’s time to let everyone know that my marriage is over” – A woman who married a pirate ghost is apparently calling things off. Not the kind of ghosting you hear about these days. UK lawmakers were supposed to vote today on Prime Minister Theresa May’s Brexit plan. That’s not happening anymore. In 2016, the UK voted to no longer be part of the EU and all that comes with it – immigrants, rules, etc. There was also a general sense of ‘sticking it to the man.’ In this case, the man being wealthy UK lawmakers who wanted to stay a part of the EU. The former PM said ‘I’m out then.’ And May’s pro-Brexit gov came into power. Since then, she’s been having a hard time getting people to agree on what an exit plan should look like. So…what does everyone want then? That’s the problem. Pro-Brexit people are all about UK sovereignty – they don’t want the EU to have a say on how they do trade anymore. Anti-Brexit people want another chance at a deal with the EU. Pretty much no one can agree. All of this puts May in a no-win position. It’s unclear what the next steps are here. May’s going back to EU leaders to talk things out. But the EU has said the deal they came up with was their best and final offer. She needs to come up with something quick before Brexit officially kicks off in March. Decline. Yesterday, the Supreme Court decided not to hear a case about Medicaid funding for places like Planned Parenthood. Here’s what it was about: After an anti-abortion group released edited videos in 2015 that depicted Planned Parenthood officials talking about selling fetal tissue for profit, Kansas and Louisiana moved to end Medicaid funding for the org’s affiliates. Note: abortion services aren’t normally allowed under Medicaid, so we’re talking about things like cancer screenings, birth control, etc. The orgs and patients sued – and many lower courts were on their side. The states took it to the Supreme Court. And now we’re here. Six out of nine justices decided to pass on the case, meaning lower court rulings stand. Planned Parenthood is calling this a win. It is being seen as a move by Chief Justice John Roberts and other justices (like Brett Kavanaugh) to avoid potentially controversial cases, at least for now. Question for you. Today, Google CEO Sundar Pichai is on the Hill to face questions from lawmakers. Congress has long been wanting answers on things like Google’s privacy policies, its controversial China search engineplans, and alleged political bias. Earlier this year, it invited execs to join Facebook and Twitter and testify. Google RSVP’d ‘no.’ But those questions aren’t going away. Now, Pichai is finally taking the hot seat. Interesting timing, since yesterday it came out that Google+ (the social network you forgot you have an account for) had a security issue that affected 52.5 million users. Google was going to shut it down in August of next year. But it’s moving that date on up. 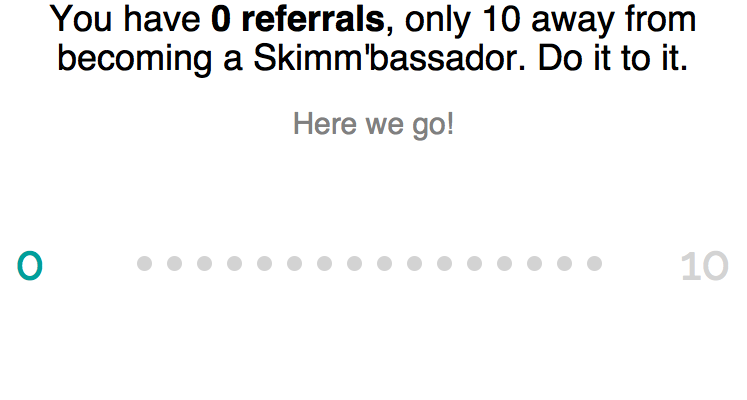 PS: GV (formerly Google Ventures) is a minority investor in theSkimm. France knows the feeling. Yesterday, French President Emmanuel Macron said he will raise the country’s minimum wage and cut some taxes. ICYMI, protests started weeks ago over a planned fuel tax hike to help fight climate change. Last week, the gov scrapped that plan but people still showed up to protest over the weekend and called for Macron to step down. Now, Macron is saying ‘I hear you.’ His plan is for people earning minimum wage to get an extra $100 per month starting next year. And to get rid of taxes on overtime pay and planned hikes for some low-income pensioners. He’s hoping this will simmer down the recent violence. This video showing NYPD officers taking a woman’s one-year-old son from her arms as she was arrested in a food stamp office. She’d been waiting to get a voucher for daycare and sat on the floor because there were no seats available. Police were called after she refused to leave and arrested her. The NYPD says it’s investigating what happened. Now there’s a documentary about it. The singer you’ve never heard of who claims he’s “the king of R&B right now.” The Internet told him to sit down. Congrats on your award for procrastinator of the year…again. Shop our guide to last-minute holiday gifts to wrap it up right now. *PS This is a sponsored section. ICYMI, we’re celebrating smarter this year. That includes with you. Today, every person you sign up for the Daily Skimm is an entry to win $1,000. And to yesterday’s winner – check your inbox. Questions? Answers. * indicates Skimm’bassador. Birthday suit on.